Ambassadors Georgia and Jamie visited Hove Park School on their year 9 options evening to talk to students about apprenticeships. The ambassadors spent the evening talking to year 9 pupils and their parents and carers. They were able to answer questions and provide information that many students and parents didn't know about apprenticeships. Many of them had not realised you could do an apprenticeship straight after school, as some people had thought that college was the only option. 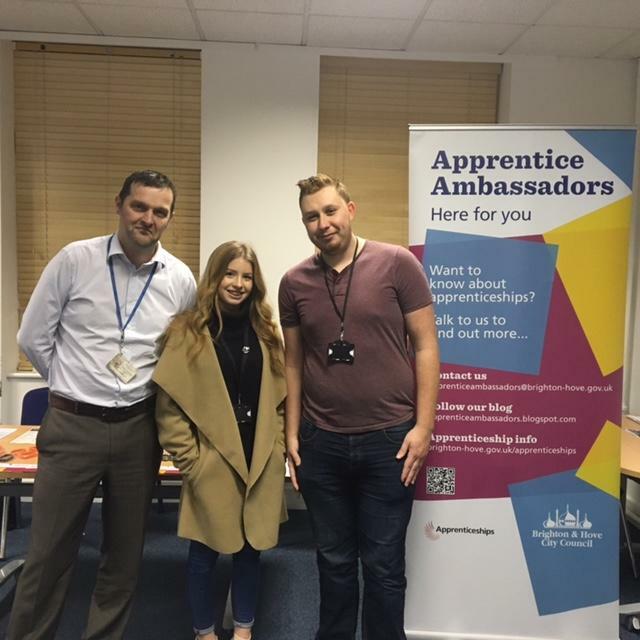 Georgia said, "It was my first school visit as an apprentice ambassador and it was such a brilliant experience. It was great to help and advise parents and students as many people we spoke to were unaware of apprenticeships. "I can't wait to visit more schools in the future!"